The Department of Mineral Resources started geological mapping work since 1933, when it was merged with the Department of Lands as "the Royal Department of Lands and Mines”. 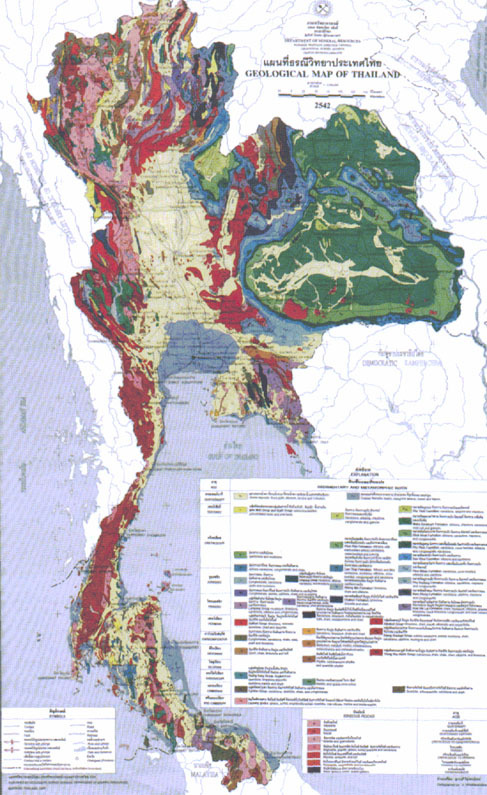 Six years later the first geological map of Thailand was published in black and white at the scale of 1:2,000,000 in 1939. In 1951, the Royal Department of Mines in corroboration with the US Geological Survey published the report entitled "Geologic Reconnaissance of the Mineral Deposits of Thailand” as Memoir Geological No.1. 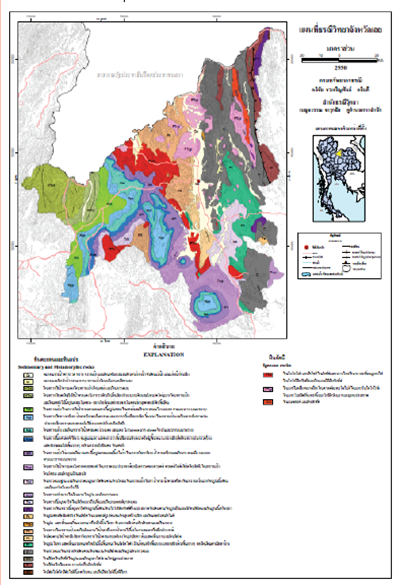 This report includes the first reconnaissance geological map of Thailand at the scale of 1:2,500,000.